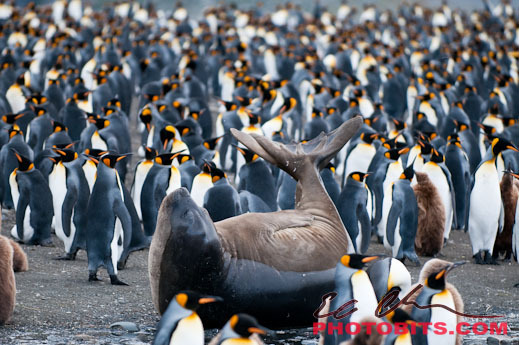 The King Penguin is the second largest of the penguin species. 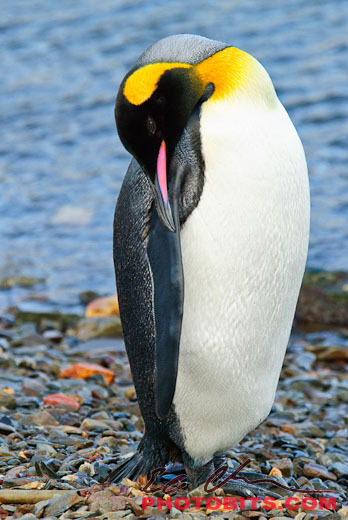 The only larger penguin is its close relative the Emperor Penguin. 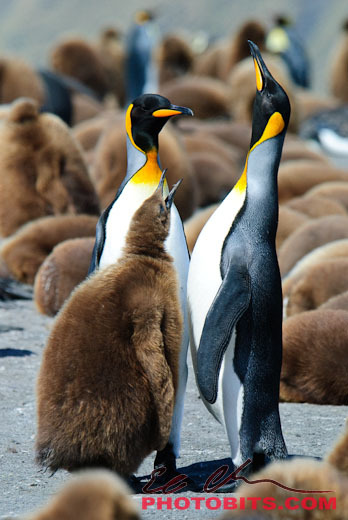 Just like the Emperor Penguins, King Penguins use calls or songs to find find each other. 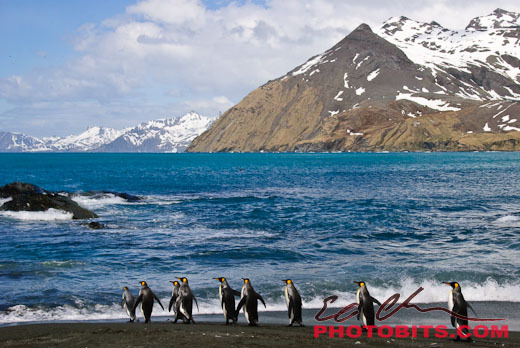 Here’s an audio clip from the King Penguin Colony at Gold Harbour, South Georgia. The whistles are the chicks calling for their parents, and the louder harmonics are the adults calling for their chicks. 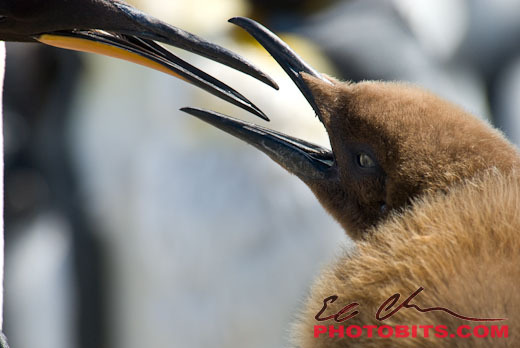 A king penguin preening in South Georgia. 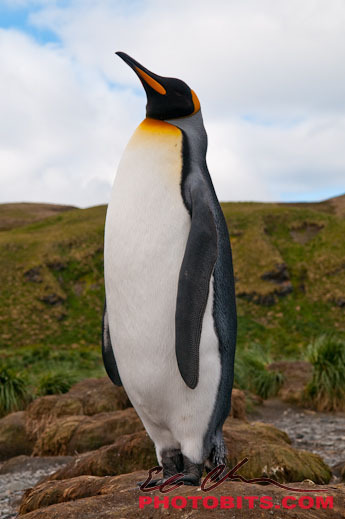 King Penguins are the second largest penguins. 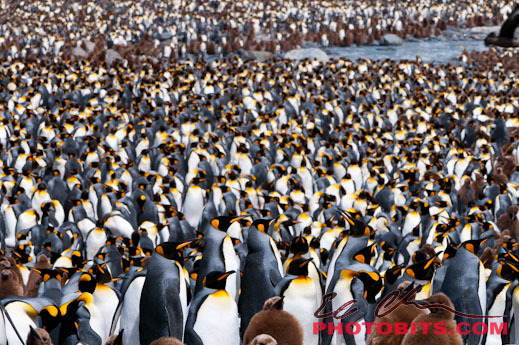 The largest are the Emperor Penguins. 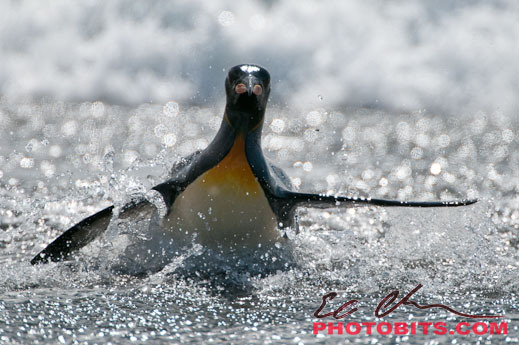 This young penguin is about to be fed. 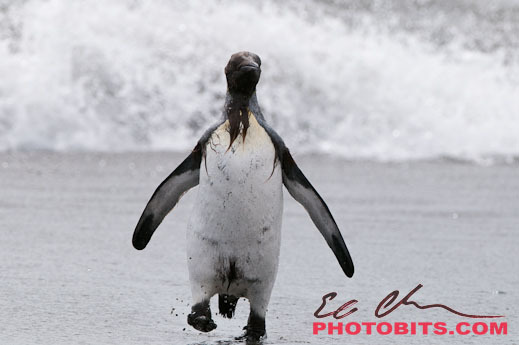 These penguins are heading out to find food for themselves and their chicks. 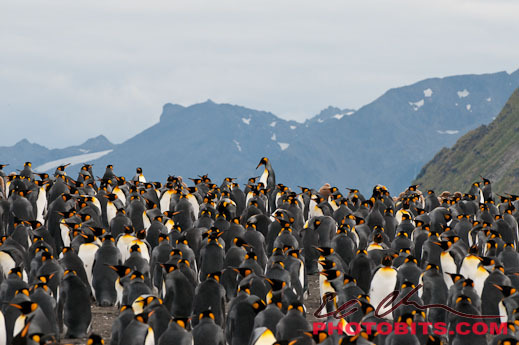 These are large stable king penguin colonies on South Georgia.